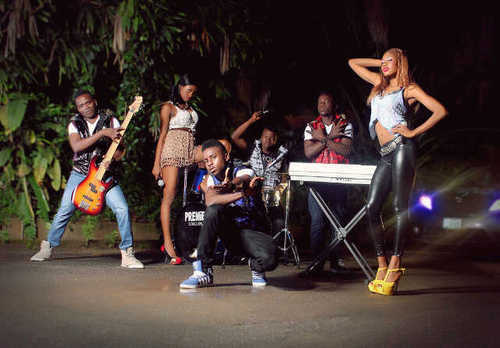 Crystals Band, the winners of 2012 Star Quest competition, will take center stage at the weekly Industry Night event on Wednesday Sep 26, 2012 at Oriental Hotel Lekki. Having won the 8th edition of ‘ Star Quest’ a musical talent hunt organized by Nigerian Breweries, these young creative and energetic performers were signed to the Efe Omorogbe’s led management outfit, Now Muzik . Crystals Band performed at the Nigeria Star Trek tour in 11 cities across the country earlier this year, they were guest artist at the 35th anniversary of METRO FM and were also there to support the winners of Star Quest 2011, D’Beat, by their amazing performance at ‘Live Lounge’- ‘ ‘D’Beat Goes On’ album launch edition. Their debut single, Gbe Sun Mo Mi, produced by OJB Jezreel which was released a few weeks back is just one of the many numbers the band will be adding their unique ‘crystal effect’ to on Wednesday. Sound Sultan, Faze, OJB, Harrysong (who is also on the production list for their forthcoming album), Butafly (TBB) and Efa will make special guest appearances among others. The weekly event featuring performing artistes, put together for entertainment and networking opportunities, has hosted some of the finest in the industry including, but not limited to; Faze, Timi Dakolo and 2face Idibia.